Let’s just cut to the chase — the Golden Knights will win their first-round Stanley Cup Playoffs series against the San Jose Sharks. Why? That takes a little explanation, though most of you know the edges that go to Gerard Gallant’s team. For starters, the Knights have the superior goaltending. Marc-Andre Fleury is better than either Martin Jones or Aaron Dell. While both teams boast balance among their four lines, I believe Vegas has a little more depth and talent spread out across its four lines than San Jose. The Knights can win on the road. They’ve played well at SAP Center in the past and no matter what clever phrases the Sharks’ marketing people come up with to get the San Jose crowd going, it’s not going to throw Vegas off its game. With all that said, it’s not going to be an easy series. The Sharks are a good team too. They’re getting defenseman Erik Karlsson back at the right time and he’ll be a force to deal with, especially when San Jose goes on the power play. Joe Pavelski’s going to play and he’s always been tough to contain for the Knights. And I would fully expect Timo Meier to play, bad wrist and all. Gallant said Monday the team is as healthy as it has been all year and if you take him at his word, the Knights are going to have the flexibility to move people in and out of the lineup. 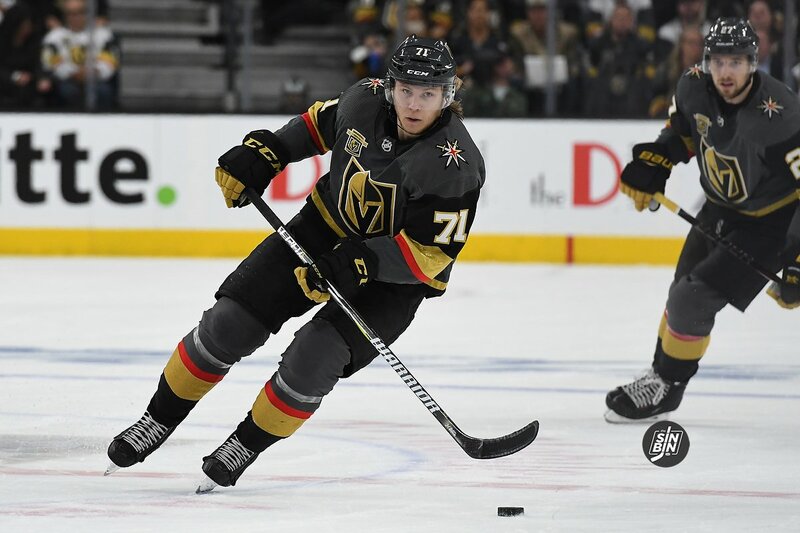 Whether it’s Ryan Carpenter, Tomas Nosek or Will Carrier filling in those left-wing spots on the third and fourth lines to play with Cody Eakin and Alex Tuch or with Pierre-Edouard Bellemare and Ryan Reaves, there’s going to be lots of maneuverability for Gallant during the series. And I haven’t even brought up Brandon Pirri or Valentin Zykov, though it’s unlikely they’ll play unless a rash of injuries suddenly materializes. First, can the Sharks contain William Karlsson? Wild Bill has scored 10 goals and has eight assists in 14 games against San Jose in his two years with the Knights, including the postseason. He appears to be in Jones’ head, though good luck to getting anyone to admit to it. The Sharks to date still haven’t been able to consistently take away Karlsson’s time and space. 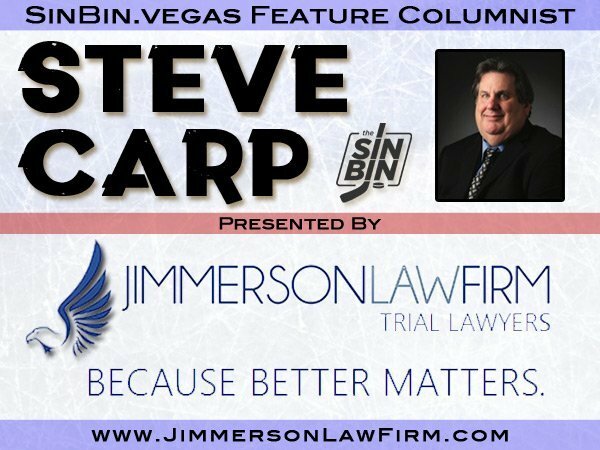 And with Reilly Smith and Jonathan Marchessault able to get him the puck, Karlsson remains a true nemesis for San Jose. Maybe it’s time Peter DeBoer did change it up and try and watch Karlsson a little closer. They did manage to keep him pointless in Games 4 and 5 in last year conference semifinals so maybe they’ll figure it out. The second key is about containment the other way. The Knights have their own demons to deal with, that being keeping Logan Couture and Tomas Hertl in check. The duo has been a constant pain for Vegas and last year in the playoffs they combined for five goals and 12 points. The third variable in all this is Alex Tuch. The second-year winger will be on the third line with Eakin and whoever Gallant opts to put on the left side. He learned a lot from his first playoff experience a year ago and you can expect him to be much more comfortable in this high-intensity setting. Tuch’s game isn’t going to change. He’ll use his speed and size to gain separation from the Sharks’ defense corps and you may recall last year he turned Marc-Edouard Vlasic into a pretzel at times as did a few of Tuch’s teammates. The Knights’ anemic power play will be aided by Tuch’s ability to get to the front of the net, take away Jones’ line of vision and get some tip-in and rebound opportunities. And while Tuch has been struggling of late offensively with just one goal and two assists in his last 10 games, he figures to settle in playing with the hard-working Eakin. Don’t be surprised if he finds the back of the net a couple of times in this series. He didn’t have to say it but Tuch was referring to the save Washington’s Brayden Holtby made on him with two minutes to go in Game 2 of the Stanley Cup Final last year that would’ve tied the game. Instead, the Capitals held on to the win and it did change the complexion of the series. There are other variables as well, particularly for two players who were not with their respective teams at the start of the season. The Knights have Mark Stone in the lineup and he no doubt will be hungry as he participates in his first postseason since 2017. In his last two playoff appearances, both with Ottawa, Stone had five goals and seven assists. The Sharks are hoping Gustav Nyquist can give them an offensive boost after the former Red Wing had six goals and 11 points in 19 games after being acquired at the trade deadline in late February. The Knights will have to account for him whenever he’s on the ice. DeBoer has Nyquist on the right side of his first line with Hertl and Evander Kane. The special teams will bear watching, especially when San Jose is on the power play. With Erik Karlsson and Brent Burns manning the points, the Sharks are sixth in the NHL in power play percentage at 23.6%. The Knights are 25th at 16.8%. 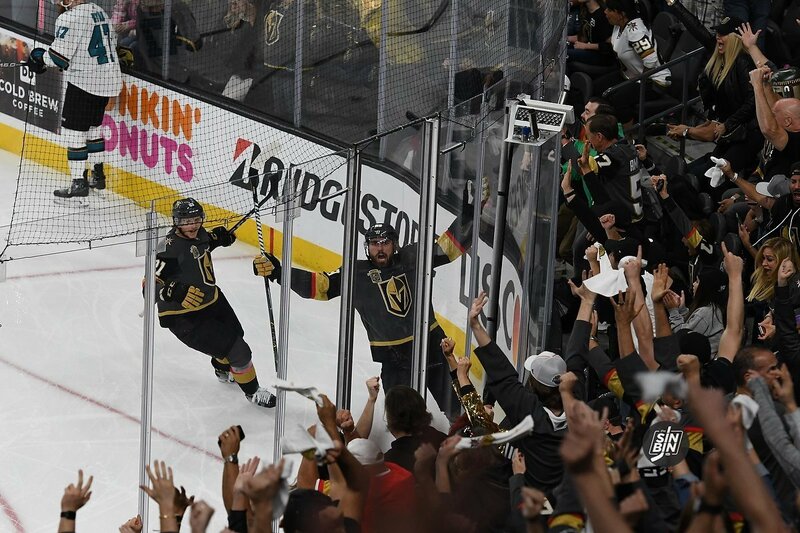 Between Fleury in net, the ability to get to Jones and the Knights having a history of success in San Jose, there’ll be hockey late this month and into early May in Las Vegas as the Knights advance, winning a hard-fought, contentious series in six games, same as last year. So when Vegas loses the series be sure to write an article about how you thought you knew it all but didn’t. Regular season stats DONT matter, but seeing as this is only the second year you’ve had your own hockey team in Vegas you probably aren’t aware of that. Hope you don’t Jinx us Steve .. Seriously man that was not a smart play to write this . Everything you said n this article worked in reverse last night .